Building Loans in Kenya: BY PAUL KARIUKI: aIf you take a loan to build rentals, for instance, it takes years to recoup your investment, so it is better to invest in something with quicker returns. The rate at which arable land is giving way to concrete jungles is worrying. Experts say that if this trend is left unchecked, the country’s food security will be at risk. The scramble to own a piece of real estate, apart from reducing the acreage under cultivation, is increasingly being seen by some as an unwise financial investment, if the returns are anything to go by. Mr John Njoroge, a pharmacist who has invested in real estate, says many people place a high premium on plots because they are more affordable than large tracts of land. “It is common for individuals to acquire plots and put several rental units or apartments because, compared to putting that land to agricultural use, there is little in terms of recurrent spending,” he says, adding that while this is true, are factors that make investing in real estate tricky. He notes that, contrary to the perception that those in real estate are making a killing, there are several factors that might see an investor not recoup his/her investment as quickly as anticipated. “Let’s say you bought an eighth of an acre for Sh2 million and took a bank loan of an equal amount to put up eight single rental units. Let’s assume each unit goes for Sh3,000 per month. 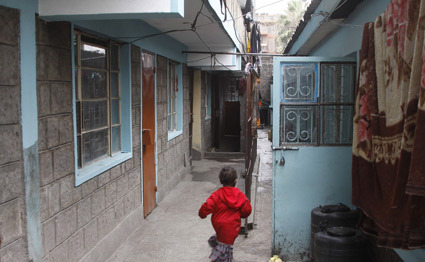 This translates to Sh24,000 monthly and Sh288,000 annually, provided the units have full occupancy throughout the year, but this is far from reality,” he says. Besides, when taxation, land rates and other associated costs like loan repayment (plus the interest charged), the agent’s fee, and the maintenance costs are factored in, it takes long for an investor to start realising returns from their investment. “It is a fact that many investors do not benefit from their investments immediately. It might be years before they realise any tangible benefits. If you take a loan of, say Sh100 million to put up an apartment block, it can take you about 40 years to clear the same, although interest rates could see you pay much more than this,” he says. Mr Njoroge says that most new investors are waiting for the market to change and might well benefit but cautions that factors such as the political climate and insecurity in some areas might see the value of the property coming down. Meanwhile, Mr Peter Kamau, an agriculturalist in Nakuru, says there are many misconceptions about land. He is worried that in the near future, Kenya could become a net food importer, if the way land is being subdivided and used to put up residential and commercial buildings is anything to go by. “Good agriculturally productive land is disappearing as structures mushroom everywhere. There are other investments apart from real estate land can be put to with high returns than what rental units average annually,” he says. Taking the example of the eighth piece of an acre as above, he says a serious person who keeps five dairy cows on it can make much more than the returns rental units typically average. “Take a case where an individual uses buys five dairy cows at a cost of Sh500,000. For argument’s sake, assume each cow produces 20 litres of milk daily, with each litre retailing at Sh50. 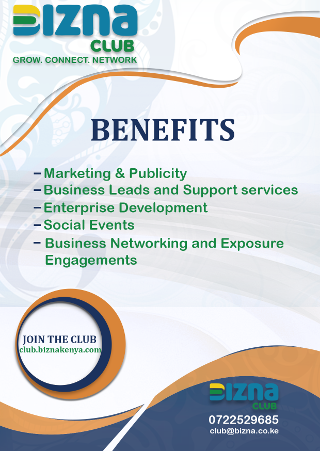 This comes to Sh5,000 daily and Sh150,000 monthly. Assuming the production is constant throughout the year, the annual net income will average Sh1,800,000. This raises the question whether an annual Sh288,000 is comparable to Sh1.8 million,” he notes. He adds that if one looks closely at the real estate market, one will realise that only a few investors in the sector are benefiting. Some properties go unoccupied for long periods, which is counterproductive if their owners are repaying loans. As a result, he says, there should be policies to safeguard food security. For instance, the government could borrow a leaf from China, where residential houses are built in areas of low fertility, and especially along highways or roads while big tracts of fertile land are put to agricultural use. “There should be policies capping the maximum and minimum acreages that can be subdivided because, in the long run, we might become a net food importer if the trend we are witnessing is not curbed,” he says. Your maths does not add up. 20 liters per day at 50 bob amounts to 1000 bob pre day and 30 K a month. Hii 5 K per day ilikuwa aje? Sam he has 5 cows and each produces 20 litres.This comes to 100 litres per day translating to to @ 50. Sam he has 5 cows and each produces 20 litres.This comes to 100 litres per day translating to 5000 @ 50. What the cost of maintaining 1 cow for a month.Fodder, vet services,labour.